Oh no they don’t! ………………………………….oh yes they do! 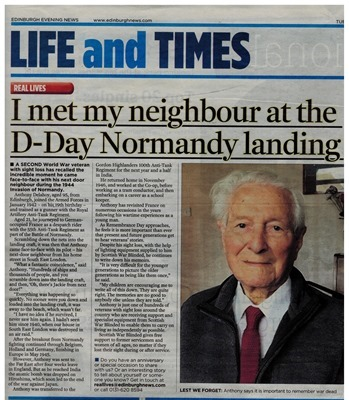 World War Two veteran, and PEP stalwart, Tony Delahoy shared some of his war-time memories with the Edinburgh Evening News.